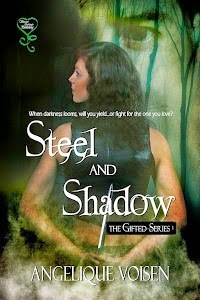 I’ll be posting three random or interesting factoid about my upcoming NA romance fantasy Steel and Shadow (the first book in The Gifted trilogy) along with one daily writing resource over the course of the week. Q: Why should I pick up a copy of Steel and Shadow? Its set in a unique fantasy world, has battles with the supernatural, and has an unlikely love triangle (FFM). At its core, Steel and Shadow is a traditional fantasy novel with a romantic twist. In fact, romance will play an important part in the next two books of the trilogy. Steel and Shadow is also a sort of coming-of-age story of a misfit, Charlie, a half-blood huntress, who is suddenly forced to confront a number of struggles along the way. This includes a city on the verge of chaos and confronting the old ghosts of her past and her loved ones. 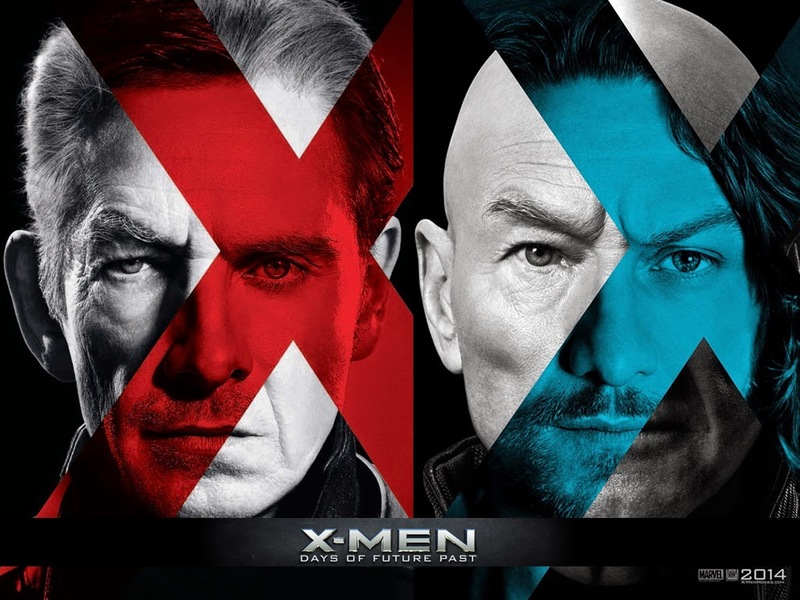 Now onto onto today's blog post: 3 Writing Lessons from X-Men Days of Future Past. The one great thing about our writing noggins? *A warning for movie spoilers ahead. We can find inspiration anywhere. Even while slouching in a darkened theatre after a buffet tea reception, while everyone else is similarly slouched and stuffing popcorn in his or her mouths like there’s no tomorrow. I know. Not a very attractive image. Still, its great to know the wheels in our head still continue to turn. The great thing about watching X-men: Days of Future Past with several other stuffed and happy folks? We all know we’re here to unwind and relax. We all know we’re about to enter that moment of bliss I’ve mentioned in an earlier post here while watching superhero or B-rate action movies. Inspiration would always come in the least expected moments. The best stories I write often come from whimsical and not-too-serious ideas. Ideas that can make the bare-bones of any outline and would need filling in later on, but nonetheless good ideas. The worst ones come from too much over thinking. The lesson here is when you’re procrastinating too much, just stop and start writing, even if its drivel. Mutants in a dystopian bleak future clashing with ultimate chameleon changing war machines. Check. Time-travelling through the mind. Check. The point here is, that depending on the direction taken by the movie’s director, the movie could have sunk any time it wanted. But it didn’t Maybe it’s the cast, the plot, the setting, or a number of things- but what matters is that it works. As writers, we know that no draft is perfect, but sometimes we keep working and working at it until we’re exhausted. Just take a look at the previous X-men franchises. Nevermind Wolverine’s always-trying-but-never-succeeding spin-offs, or what some hard-core fans consider the debauchery of the Phoenix saga (aye-aye my geekiness is shining strong today) of X-men: The Last Stand. After much trial and error, they finally made something that works. So the end will leave them stunned and hungry for more. Not only do the good guys receive a HEN ending in X-men: Days of Future Past that almost seems too good to be true, the movie effectively does a ‘reset’. A bold reset that manages to erase all the awfulness that fans didn’t like. The fact that Jean Grey is now alive effectively ensures that all the tragic whoo-ha of X-men: The Last Stand is gone. The fact that Wolverine’s the only one who remembers all the events that have transpired, effectively makes him the suffering hero who has to bear the weight of the memory of ‘what could’ve been’ on his shoulders…. Maybe some refuse to believe this ending. Is it an ending too good to be true, or is it an ending meant to screw with your mind? Maybe the director is attempting an Inception wtf moment with us and everyone just simply dies? It never hurts to leave an ending open to interpretation, especially if it’s a means to secure a sequel. If that sequel fails, then simply try again. What X-men: Days of Future Past and the X-men franchise ultimately teaches us writers is simply to never give up.